Get your low down on what's happening in Malayalam cinema, right here! After more than two decades, legendary actor Kamal Haasan is all set to make a comeback in Malayalam. He is appearing in a guest role in director Saji Surendran's Four Friends starring Jayaram, Kunchacko Boban, Jayasurya and Meera Jasmine. An excited Saji, who is on a dream run as both his films -- Ivar Vivahitharayal and Happy Husbands -- were huge hits says, "I had gone to him with Jayaram and after going through the script, he agreed to do the role straightaway. We are going to shoot the scenes this week, probably in Chennai." Kamal Haasan started his career in Malayalam with K S Sethumadhavan's Kanyakumari. He has found great acceptance in Malayalam during his younger days and has always shown his liking for the language. He has a special place in the heart of every Malayali and his comeback could be quite a matter of celebration! Meanwhile, Prithviraj turns producer along with Santosh Sivan and Shaji Natesan with their movie Urumi -- The Boy Who Wanted To Kill Vasco da Gama under the banner August Cinema. 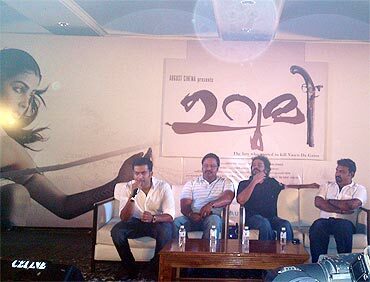 The film's official launch was held recently at a grand function in Kochi where some of the biggest names from the industry attended. Santosh Sivan had directed Ananthabhadram, with Prithviraj as the hero, a few years ago. Urumi is a period film and will be shot in various locations across the country, including Rajasthan. Genelia D'souza and Prabhu Deva include the cast. The script has been written by Shankar Ramakrishnan. Director Vinayan has been facing trouble for some time with his feud against the entire Malayalam film industry. He has completed the shooting of his new film Yakshiyum Njanum, with a couple of fresh faces in the lead and now is finding it difficult to get the film released. Vinayan has now requested Kerala Chief Minister V S Achuthanandan to help him release the film. 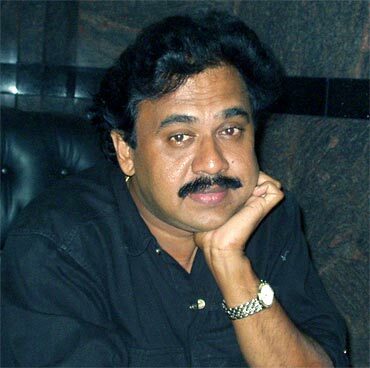 Vinayan had tremendous clout in the industry heading the film technicians' forum MACTA but things went wrong suddenly for him which resulted in the formation of a new outfit, FEFKA, while he continued with MACTA. With almost every big name from the acting fraternity opposing him, Vinayan has been finding the going tough. However, Vinayan has always been known to tide over such issues and perhaps all this publicity could be a blessing in disguise for his film, Yakshiyum Njanum. Holding hands with Amitabh Bachchan!